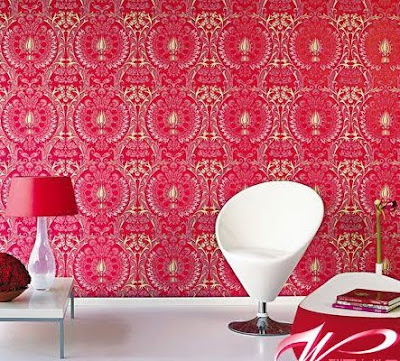 Guide: Red, as we all know it is generally means warm, prosperous and festive, when the New Year of 2011 is coming, how can we ignore the home decorated in red? 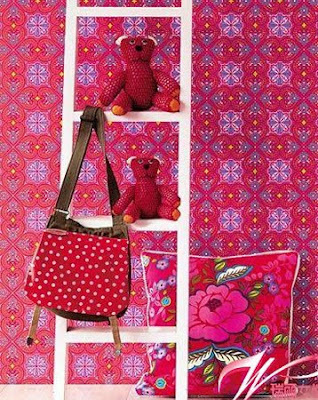 Now let’s select a festive red wallpaper to decorate a wall in our home, and let’s the red wallpaper help us to create a lively and energetic atmosphere in the New Year of Rabbit. Red wallpaper + red chandelier, they make the living room very festive. 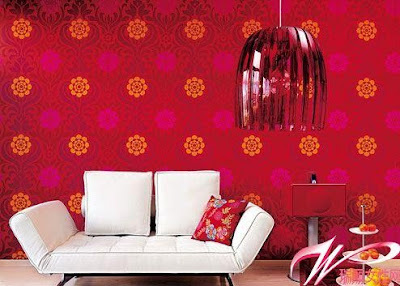 Red wallpaper, which implies a good fortune in 2011, and the same time make the living room showing a festival atmosphere in the New Year. The red wallpaper matched with a simple style white sofa, thus adding a little smart and fashionable sense to the home space. 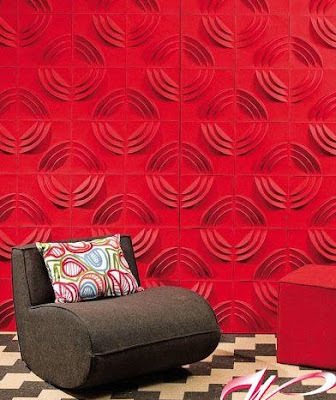 Three-dimensional red wallpaper, which was formed by pieces of small square cardboards, and it is easy to paste and combine them together, as well as very environmentally friendly, use the hands yourself with the paper relievo you can make the wall in your home show a new look. Rosered has a relatively higher brightness, itself can produce sweet and relaxed feelings for people living around, using such a colored wallpaper is the best choice to open a good fortune for the home space. 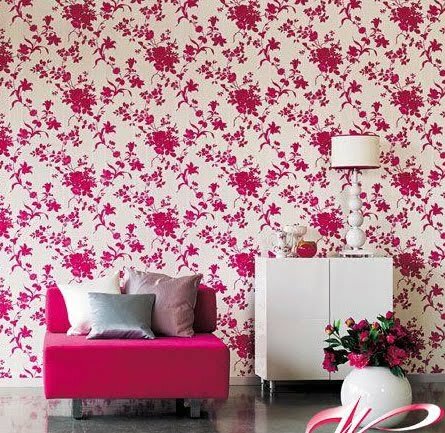 But at the same time, you must be careful with the match of wallpaper and furniture, if you use the rosered wallpaper with different patterns in a large area, you should select the furniture with rather simple patterns and compact shapes. The floral cluster pattern is implies the meaning of "reunion, and the red floral cluster patterned wallpaper can not only take you good fortune, but also carries the best wishes for the family reunion. Peony pattern wallpaper may decorate a very elegant and gorgeous effect of space perfectly. Matching with cushions in the same patterns of flower shape, thus to increase the perfectness level in the details, so the home space will turn to particular luxurious.